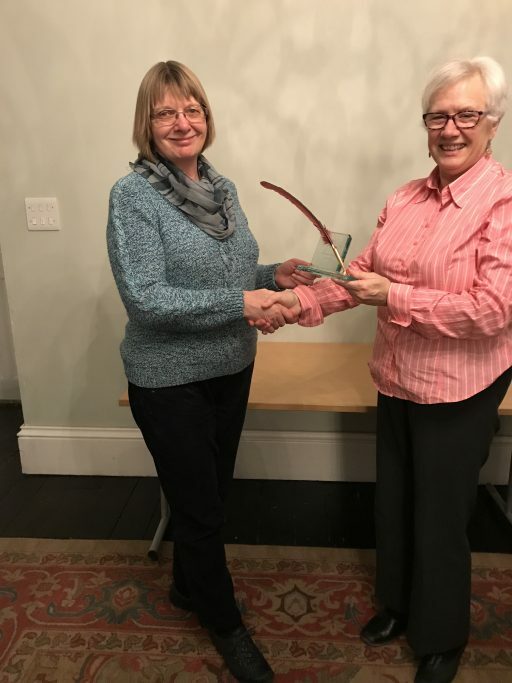 ﻿ Ripon Writers » Poetry trophy presented at last! Poetry trophy presented at last! Susan received the trophy from Sheila last night. Scroll down for full details of the Poetry Competition adjudication.